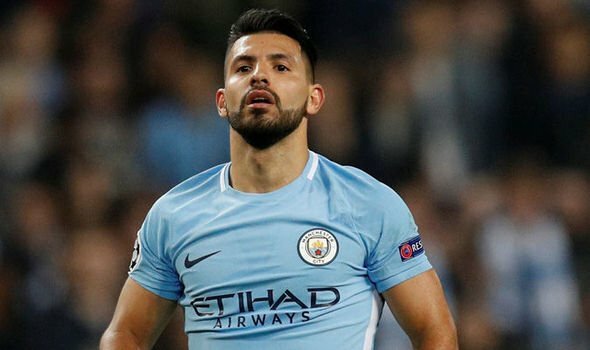 It is sad news from the camp of Manchester City and Argentina forward, Sergio Aguero as he is likely to miss the World Cup. Sergio Aguero will struggle to recover from knee surgery in time for the World Cup, according to Argentina Football Association doctor Homero D’Agostino. Manchester City striker Aguero underwent an arthroscopy after aggravating a knee problem during their derby defeat to rivals Manchester United, Pep Guardiola citing a challenge from Ashley Young that went unpunished by referee Martin Atkinson for the injury. The striker was included in the PFA Premier League Team of the Year on Wednesday after scoring 30 times in all competitions for newly crowned champions City. But D’Agostino doubts whether the 29-year-old will be fully fit for the World Cup, with Argentina opening their campaign in Russia on June 16 against Iceland. “That a player has undergone an arthroscopy with 60 days to go before the World Cup is worrying,” D’Agostino told Radio 10. “The recovery process will require at least five weeks. When one has old injuries, the recovery process is not as fast as one would like it to be. It’s never going to be less than three or four weeks, or even more. “I imagine that he will not arrive 100 per cent fit with the limited time that is left before the World Cup. The anatomy is the anatomy. The injury is what it is. He can try but I don’t think he will arrive 100 per cent. Should Jorge Sampaoli be unable to rely on Aguero for the World Cup, the Argentina coach could turn to Inter captain Mauro Icardi or Juventus striker Paulo Dybala, both of whom were left out of his most recent squad. Former City forward Carlos Tevez, back playing for boyhood club Boca Juniors in Argentina, has also indicated he retains hope of being called up the World Cup.